Free pattern for jacquard winter ornament sweater. With this beautiful jacquard ladies sweater you will stay warm all winter long. Knit the sweater from the bottom to the top starting with the garter stitch pattern and continue with jacquard winter pattern. Roll-neck made of "knit 1 purl 1" ribbing allows you not wearing a scarf. 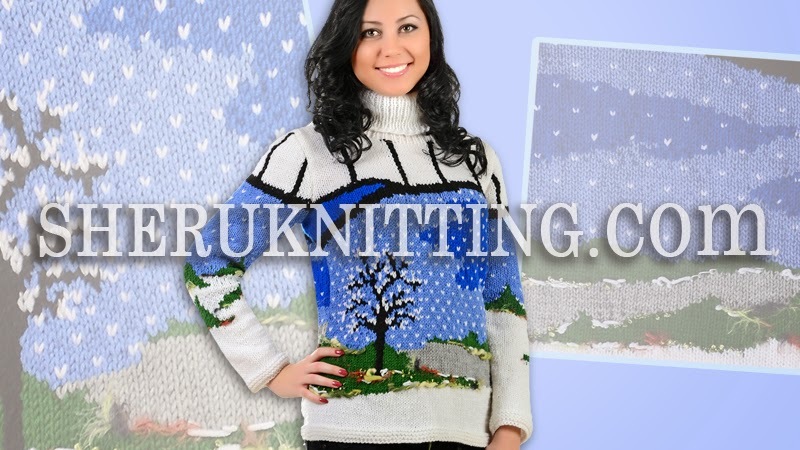 Make this outstanding sweater for yourself or as a gift for your friend. No matter how cold is outside this sweater will keep you warm, comfy and stylish... Let it snow! ) Free detailed charts and schematics are provided. Thanks for watching!